In addition to the incredible outdoor experiences found at our Texas ranch, The Outpost also offers one-of- a-kind adventure packages to dream destinations around the world. Whether it’s hunting big game in native Africa, or landing a trophy-sized catch in the Alaskan frontier, we’ve got you covered. 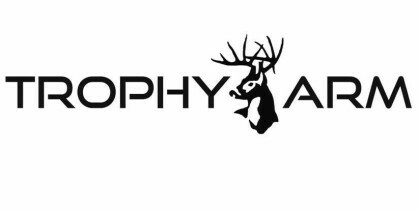 Our all-inclusive packages include everything from hunts and lodging to meals and hospitality. Take a personal vacation to refresh and recharge or bring a group of friends to share the adventure – the choice is yours. Either way, you’ll be treated to exotic landscapes, friendly, passionate sporting guides and a once in a lifetime experience that you’ll treasure for years to come. Whether you’re an expert or a first-time hunter, Leithen Valley caters to your needs to make sure your hunt is memorable. They provide the terrain necessary for a fair chase trophy and experience. 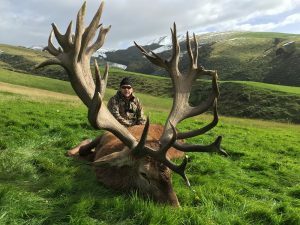 However, New Zealand offers more than just hunting – there are a multitude of sights and experiences that you can enjoy while there. This includes tours, spas, and adrenaline-filled activities of your choice. Whatever you choose to do, the guides know the area extensively and will make your time there enjoyable. To learn more about the experience, visit their website at leithenvalley.com. 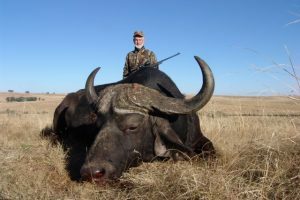 To say that an African hunting safari is a thrilling experience is a bit of an understatement. From landing traditional big game (Leopard, Lion, Rhino or Buffalo) to capturing the most sought after plains game animals (Impala, Kudu, or Sable) each safari is unique and provides new opportunities for pulse-pounding excitement! Every hunt is custom-tailored to meet your specific needs and geared towards your complete satisfaction. We believe in serving our clients while maintaining the highest standards of conservation for protection of these majestic animals. The Outpost business philosophy is what keeps our clients coming back year after year and referring others to create their own magical experiences. For pictures and more, visit their site at ssprosafaris.com. 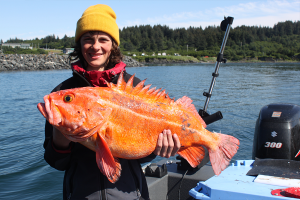 Known not only for its vast expanses and breathtaking views, Alaska is also home to some of the finest sport fishing in the world! With 34,000 miles of coastline and countless pristine lakes and rivers, fishing in Alaska should be on every angler’s bucket list. If king-sized Salmon or fresh-caught Halibut are what you’re looking for, Alaska is the place to be. Whether you’re a first-time fisherman or a seasoned pro, our experienced guides can help you land “the big one” that will be the envy of all your friends. Leave your rods and reels at home as our fishing packages include everything: skilled guides, top-notch tackle and expert instruction. All you need to pack is your enthusiasm. Local anglers will take you to the best fishing grounds, help you land a monster catch and handle all the details in-between. Just relax, enjoy and take home the memories afterwards. For more information, view their website at roostercharterskodiak.com. Are you ready to book the sport adventure package of your dreams? Call (972) 346-2825 or contact us today to learn more and get the process started. The Outpost – Bringing the Ultimate Outdoor Experience to Life!